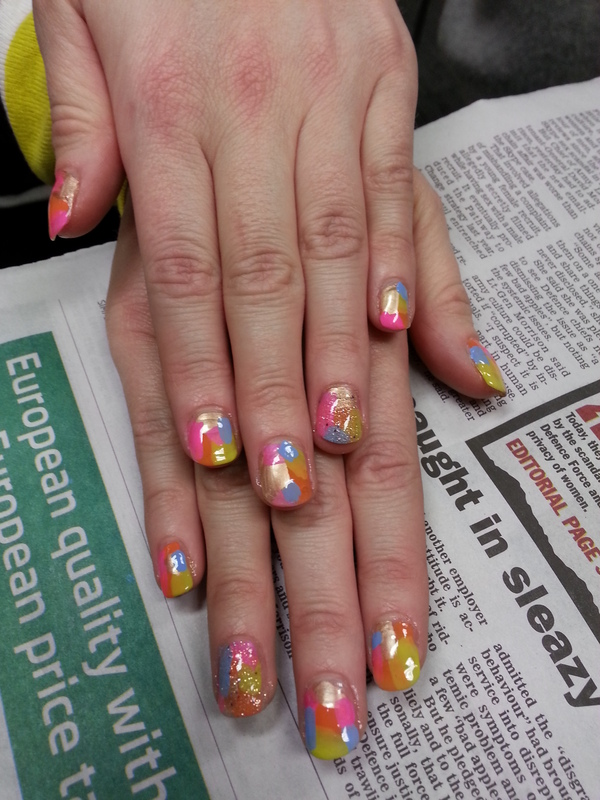 I did these hawt nails on a girl who was heading to a 70s disco-themed fancy dress party. I wanted psychedelic colours and a just touch of sparkle, to really encapsulate that “Boogie Wonderland” vibe. This look is so easy- just flatten the brush on the nail and dab the colours on randomly. Serve with a 10-inch afro, hotpants and roller skates. Previous Previous post: Soundtrack to My Weekend: D’Angelo- How Does it Feel? Next Next post: A Game of Autumn Tag!